Benefiting TDI The Diversity Initiative, Inc. In addition to our standard pricing ($25 for General Admission, $100 for VIP), Chillounge Night offers reserved seating options as seen below. If you purchased one of the reserved seating options please go to the RESERVED SEATING table at the entrance for check-in. Purchase price includes: Admission to the event. Enjoy all the entertainment throughout the evening and access to cash bar and food available for purchase. Limited sofas, daybed and couches are available first come first serve, however you can bring your own lawn chair but no blankets, thank you. Purchase price includes: Your private Daybed and 2 General admission tickets, access to cash bar and food available for purchase. 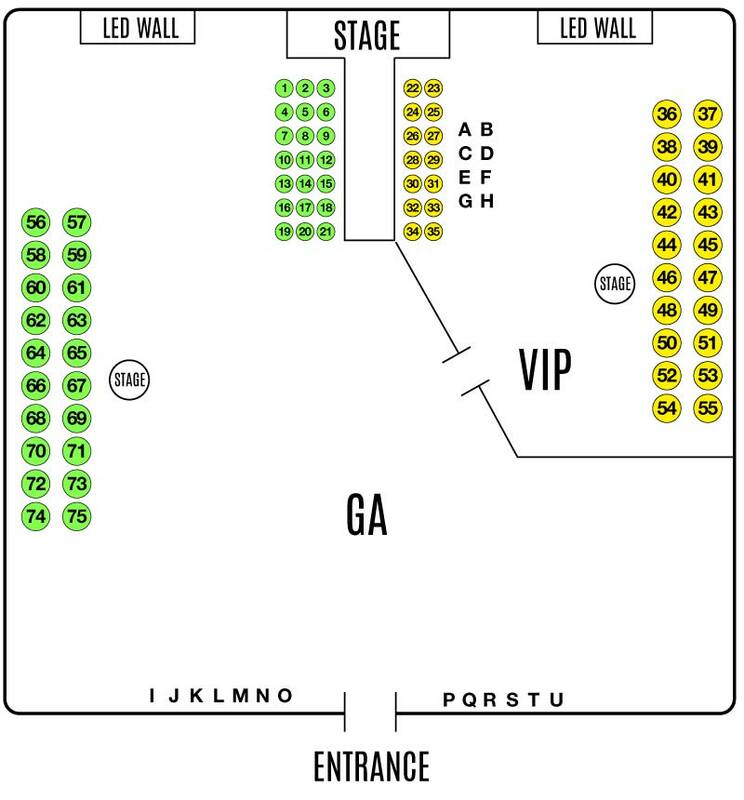 Enjoy the multiple stage performances and fashion show in a Daybed along the stage / runway. Purchase price includes: 4 General Admission tickets as well as 1 round table and 4 chairs, access to cash bar and food available for purchase. Purchase price includes: 4 General Admission tickets as well as your private cabana including 1 round table and 4 chairs, access to cash bar and food available for purchase. Purchase price includes: Food, beverages, liquor, desserts and coffee throughout the evening in the secured VIP lounge area. Limited sofas, daybed and couches are available first come first serve, however you can bring your own lawn chair. Special Cirque du Chill performances will make the VIP experience a night to remember. VIP restroom trailer available. Purchase price includes: Your private Daybed and 2 VIP tickets. Enjoy the multiple stage performances and fashion show in a Daybed along the stage / runway. Includes food, beverages, liquor, desserts and coffee throughout the evening in the secured VIP lounge area. Special Cirque du Chill performances will make the VIP experience a night to remember. VIP restroom trailer available. Purchase price includes: Private Suite with Chillounge Night furniture, 6 VIP tickets. It entitles you to complimentary food, beverages, liquor, desserts and coffee throughout the evening in the secured VIP lounge area. Includes private cocktail service throughout the evening so you don’t have to wait in line to get your drinks, 1 complimentary bottle of champagne as well. Special Cirque du Chill performances will make the VIP experience a night to remember. VIP restroom trailer available. Purchase price includes: 4 VIP tickets, a round table and 4 chairs. It entitles you to complimentary food, beverages, desserts, liquor, and coffee throughout the evening in the secured VIP lounge area. Special Cirque du Chill performances will make the VIP experience a night to remember. VIP restroom trailer available.